This album first came to my attention back in 1980 when the single “Crazy Little Thing Called Love” was played on a juke box in a bar whose name I can’t remember. At first, I thought it was an Elvis Presley song and I wasn’t the only one. That whole song radiated The King, especially Brian May’s guitar solo. When I discovered it was actually Queen, I was even more impressed and liked the song that much more. Of course, most people not in metal, those who worship the Top 40 charts especially, identify “The Game” with the number one hit single from the album, “Another One Bites the Dust.” That song crossed over into previously uncharted territory for Queen because it also reached number one in the soul charts. I remember many of my African American comrades in arms listening to it extensively and found it a little amusing one day when one such comrade said to another, “These are a bunch of white boys.” However, I doubt that many of them actually bought this album. What I always liked about that song is that it showed what a brilliant bassist John Deacon was. “The Game” has been considered more of a pop album and with some of the singles from it, there is scope for that argument. 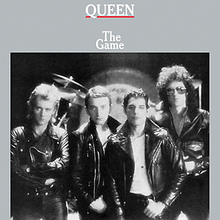 However, I’m not going to argue it here, For me, “The Game” still radiates some classic Queen and is a brilliant album. This weekend, Great Britain has been celebrating the Queen’s Diamond Jubilee. The Queen has reigned for sixty years making her the second longest reigning monarch in British history, Victoria is the longest. Now, I’m not a royalist, far from it. As an American, I remember reading about the struggle my forefathers had against what they saw as royal oppression and haven’t forgotten that. I know in reality, it was really Parliament who was taxing the colonies up the wazoo, but this isn’t the point. What does bother me is that today is the Jubilee concert and from what I can see, there’s going to be performances from great British acts like Paul McCartney and Elton John as well as Austrailian born Kylie Minogue. What I don’t see is any metal acts on the bill. Now before anyone starts wagging a finger at me and saying they don’t need to play such bublegum events, I have a good argument why they should. You see, the jubilee is about celebrating things British and heavy metal is definitely that. With the exception of Jimi Hendrix, four of the five founders of heavy metal are British and so were many of the metal influences from the 70s. Therefore, it is only fitting that this great contribution to music gets its due credit in the celebrations of all things British. The above album is another reason. You see, last week, “The Number of the Beast” album by Iron Maiden was voted the best British album in the last 60 years. That means it beat out the classic great albums from Led Zepplin, The Who, The Beatles, The Rolling Stones, Black Sabbath and Deep Purple, plus all the Stock, Aiken and Waterman crap as well as all the other bubblegum pop acts. It is only fitting that Iron Maiden should perform at the jubilee. There are other reasons why Iron Maiden should be allowed to play at the Diamond Jubilee. They represent British metal to a tee. I can think of at least two songs of theirs off the top of my head that are about British history. “Aces High” is about the Battle of Britain and “The Trooper” is about the charge of the light brigade. Both are significant events in the country’s history. 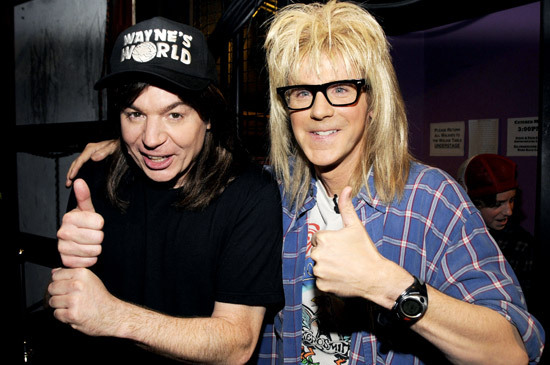 Furthermore, Iron Maiden is one band who are definitely proud to be British! Therefore, not letting them play the jubilee is somehow wrong. Looking at the reverse here, if Iron Maiden were to play the Jubilee concert, some metalheads would accuse them of selling out. I don’t agree here. This is about the Queen and being British and not some bubblegum pop event arranged to line the pockets of opportunists like Simon Cowell. I wouldn’t think any less of Iron Maiden if they took their rightful place on stage today. As I said earlier, Iron Maiden celebrates all that is great about British metal. Yes, this is another abum, which was actually released in 1977, but “News of theWorld” by Queen was one of the albums that made my spring in 1978. 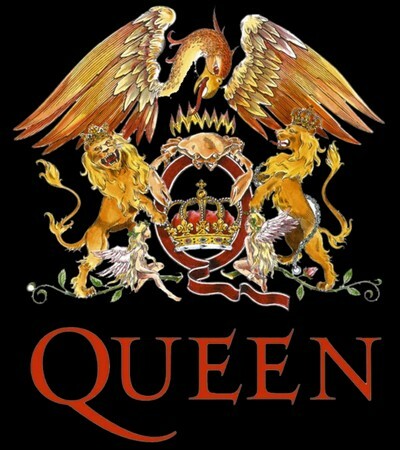 The hit singles “We Will Rock You” and “We are the Champions” spear headed Queen’s push for rock and roll dominance in the early months of that year. Both songs were used as a motivation for my high school basketball team when it want to the South Jersey final. Unfortunately, they lost that game, but those songs still were true rock anthems. 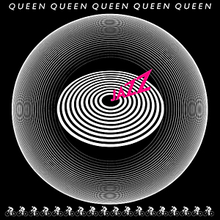 I have always liked the sound of Queen and this album was one of the reasons. The operatic harmonies were groundbreaking at the time and I’m not just talking about “Bohemian Rhapsody.” Furthermore, as I said before, Brian May is truly up their with the guitar playing elite. However, the problem I had with Queen back in 78 and 79 was Freddie Mercury and my own homophobic views. The fact that I know I wasn’t the only one who had them doesn’t justify it at all. My fears of being branded gay kept me from openly saying that I liked Queen’s music. I’m just glad I have become much more open minded in my adult years and can truly appreciate what a great band Queen are and what a great album “News of the World” was. In the spring of 1978, Queen surely were the champions of the rock world. The best thing to say about this album is that it triumphed in spite of homophobia. Not only the hits, but other great tracks like “Get Down, Make Love” and “Sheer Heart Attack” make this album such a great classic. 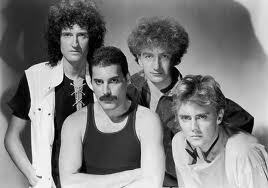 Queen are another act that has stood the test of time and have given us great rock memories. To prove I’m completely over my homophobia, here’s a picture of Freddie Mercury in his body stocking, which in 1978, I thought was very gay. When people think of the great rock guitarists in the 70s, they will almost always mention what I call the big 3, Eric Clapton, Jimmy Page and Eddie Van Halen. These three were considered by many to be the top of the heap back then. Eric Clapton thrilled many with his gutsy blues style and Jimmy Page opened a door with a new style for the many metal axemen which would follow him. Eddie Van Halen was the late comer, arriving on the scene in 1978 and carrying on into the 80s, he set the standard which other guitarists could only hope to achieve. I’m sure many would put forward arguments for many other guitarists and rightly so. The 70s did have its share of those who could smoke the fingerboard. Of that many, the three I wish to put forward here are Ritchie Blackmore, Tony Iommi and Ted Nugent. As a teenager in the mid and late 70s, I heard many would be guitarists copying the famous riffs on “Smoke On The Water” first played by Ritchie Blackmore when he was in Deep Purple. Blackmore had a style all his own. However, considered by many to be the “master of the riff” was Tony Iommi. You only have to listen to classic Sabbath songs like “Paranoid” and “Iron Man” to see why. Like Van Halen, Ted Nugent was a late comer for me. Sure, he had been around before then but it wasn’t until 1977 when I heard “Cat Scratch Fever” on my little AM only radio, that I would eventually realise that I was listening to one of the guitar greats. As in the above, I am definitely sure that many would suggest a lot of guitarists for the final category, the “underrated guitarists.” There were many guitarists who are considered great but didn’t fully get the recognition they deserved. However, I am going to list the three who I feel were definitely underrated back then; Brian May, Gary Richrath and Craig Chaquico. Most of the British readers may be a little shocked that I am including Brian May here. It is true that in Britain, he was already being put in the above category. However, this wasn’t the case in the USA. While Queen were often in the charts, I don’t remember much talk about May’s guitar skills back in the 70s. In fact, one person shot him down saying that the guitar was dubbed in fifteen times when Queen albums were being produced. Boy, I wish I had a time machine. That is why Brian May didn’t get the respect he deserved as a guitarist. The problem is when people think of REO Speedwagon, they tend to think of their more commercial stuff in the 80s and don’t realise what a hard rocking band they were back in the 70s. I am going to touch on this more in the future. But this is why their guitarist Gary Richrath, still probably doesn’t get the respect he deserves. I challenge anyone to listen to the song “Roll With the Changes” of the album “You Can Tune a Piano, But You Can’t Tuna Fish” album and say differently. When I listen to that song and most of their other 70s stuff, I fully appreciate the guitar work of Richrath. Back in the 1970s, Jefferson Starship were considered a band that made “mellow out love songs” and just about all of their singles were that. That is why their guitarist, Craig Chaquico, didn’t get the recognition he deserved back then. However, when I hear his solos on the songs “Run Away” and “Ride the Tiger,” I know that I am listening to a man who knows how to work the six string. Chaquico was a great guitarist and fortunately for him, Jefferson Starship changed to a more rocking sound in the 80s and his talents were given more appreciation. I know there are many more axemen I could name here and everyone is invited to contribute who they think might have been a great guitarist in the 70s. Wayne: I think we’ll go with a little Bohemian Rhapsody gentelmen. Yes, “Bohemian Rhapsody” is one of the greatest rock songs of all time, always finishing in the top ten in any given rock countdown list and on many occasions, reaching number one. In the 70s, Queen were a dominant force in rock music combining a hard rock sound with operatic style vocals and harmonising. The string of successful albums and singles throughout the era bear testimony to their brilliance. There is little I can say that hasn’t already been said about this band. I can only reflect on my own memories as a teenager in the late 1970s hearing their now classic songs, “Killer Queen,” “Somebody to Love” and my personal favourite, “We Are the Champions.” Of course, there are many other songs I can name here as well. I couldn’t help not liking their music, even though back then I was suspicious of Freddie Mercury’s sexual orientation. This was during my days as a staunch born again Christian. However, the singer did little to disguise it with his wild stage outfits. I still have memories of the candy striped hot pants. Apart from Mercury, one thing I have to point out is guitarist Brian May. Not so much in Britain, but definitely in America, he is a very underrated guitarist. His riffs were groundbreaking and can be heard in the playing of many metal guitarists he has come to influence since. Like many of the act mentioned before, Queen were also know as a great live act. Unfortunately for me, I never had the pleasure of seeing them live. Back then, I never could afford such things and I thought it wasn’t what Jesus wanted. But that’s another story. Although I never saw a live Queen concert, I did own their album “Live Killers” which gave me an insight to what they would have been like in concert. It made more regretful of not having seen them. Although many might not want to admit it, Queen was a major influence on the metal of the 80s and beyond and their presence can still be felt today.